Bookassist and Google are once again joining forces to host a Digital Summit for hoteliers. The summit follows a hugely successful first summit in November of 2016 which attracted over 80 hoteliers from Ireland, Italy, France, Spain, Czech Republic and Iceland. 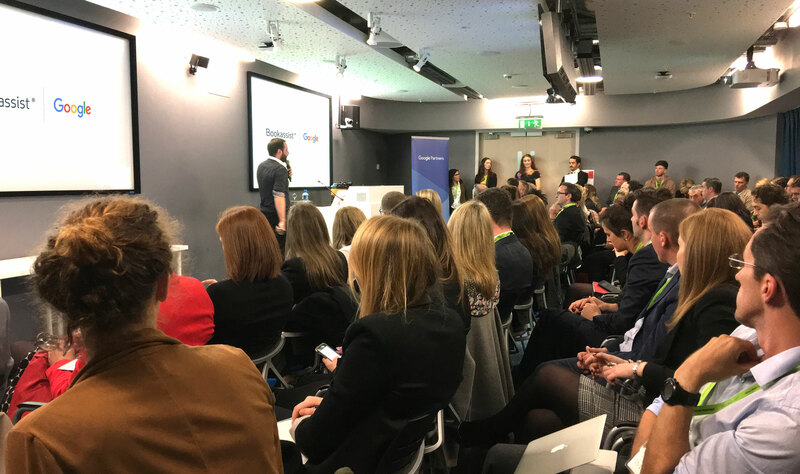 Hoteliers from across Europe are invited to Google HQ in Dublin on April 24th where Bookassist and Google will share their vision of excellence. The Summit (#BookassistSummit) will provide an insight into what excellence looks like from a digital point of view, with experts from Bookassist and Google advising hotels on the things they need to consider and the steps they need to take to on their journey towards excellence. “Our partnership with Google is bringing the best help there is to assist hotels on their journey to excellence and we know from our first summit that hotels value the advice from the Bookassist-Google partnership ” said Des O’Mahony, CEO at Bookassist. Bookassist will showcase their Direct Booking Health Clinic strategy tool allowing hotels to benchmark their hotel’s online strategy against hotels with proven success at driving direct business. Hotels that register before April 14th will receive their personalised Direct Booking Health Score™ at the start of the event. The personalised score will address the unique and individual challenges they face in building their direct business. The event will then focus on some key actions they can implement to improve their score. A panel of hoteliers, each at a different stage of their journey to excellence will share their own experiences, challenges and rewards along the way. Google will also address Bookassist client hotels at conferences in Prague and Madrid later in May. “We have an excellent relationship with Bookassist here on Team Ireland. It is clear they are held in the highest regard by their customers, the turnout and engagement for the first summit was excellent.” Philip Coyle, Agency Strategy Lead, Google. Reach your full potential online and capitalise on extra profit!